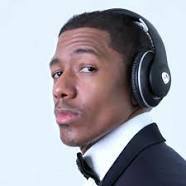 Congratulations are in order for Media personality and actor Nick Cannon who welcomed a baby boy. His new bundle of joy Golden “Sagon” Cannon was born by ex-girlfriend, Brittany Bell. The America’s Got Talent host announced the news on Instagram. “Weeping may endure for a night, but Joy cometh in the morning! No matter how hard the world may hit you, God always reminds us of our purpose! #TrueHappiness Welcome to Earth Son! Golden “Sagon” Cannon 2/21/17 #Awakened,” he captioned the black-and-white photo of him and his newborn baby. Cannon told Power 106 hosts J Cruz and Krystal Bee he already broke the news to twins Monroe and Morroco. This is Cannon’s third child. He’s also a father to twins Moroccan and Monroe, whom he shares with ex Mariah Carey.